Provides power to the distribution modules in the Series 140 Structured Media Center. 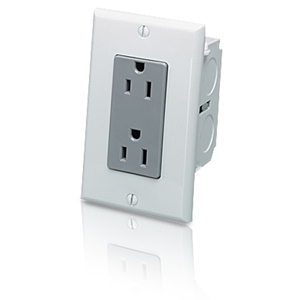 Features one 15A-125V duplex receptacle. Housed in a painted steel enclosure that drops into a knockout in the bottom of the SMC to increase space available inside the enclosure. Offers an economical method of providing power to distribution modules.